Every second person you meet is frustrated with hair loss. Hair Falling, Thin hair, Unhealthy Hair out Reasons for hair loss are many. The major reason why the there is high percentage of people facing this problem is pollution followed by stress, excessive smoking, hormonal imbalance, nutritional deficiencies, genetic factors, use of wrong or chemically enriched hair products, scalp infections, certain medicines and medical conditions like thyroid disorder, polycystic ovary syndrome (PCOS), autoimmune diseases, iron-deficiency anemia, and chronic illnesses and other lifestyle problems. The process of hair fall is uniform to all. The process is that hair falls and new hair grows from that particular follicle. But the problem falls when the fallen hair is not been replaced by a new hair. That is the time when the problem of baldness and scarce hair rises. This regular process of hair fall and replacement takes place till the time your body is less exposed to pollution stress and you have adequate amount of vitamins and minerals in your diet. This process also discontinues with ageing. So that is an exception.Hair loss is seen from very young age. Dandruff is also one of the major problem due to which the hair fall increases. When a survey taken among 20 people only 5 people use to regularly oil their hair. So it is also important to externally protect your hair. Internal protection can be taken care by what you eat. Protein plays a very important role with vitamins and minerals. Are you facing problem of Hair Fall? DHT and hair loss: Not many are aware of DHT. This is one of the major cause of hair loss in males and females. DHT is Dihydrotestosteron. 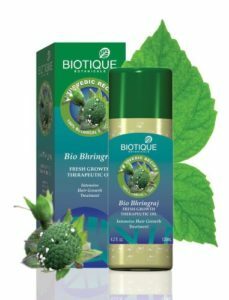 It is a hormone which is produced in hair follicle and inhibits growth of new hair and reduces the size of hair follicle. There are ways to completely block Dihydrotestosterone (DHT), as this includes preventing the production of 5 Alpha Reductase enzymes. Dihydrotestosterone (DHT) is formed in body by the combination of 5 Alpha Reductase enzymes and testosterone. Do you fall in the below categories? My hair is very thin. I am loosing more hair day by day. My hair are not as healthy as before. These are few lines which you very often hear from people around. To answer all his questions i would recommend few changes in your lifestyle which will help you reduce hair fall. I had a friend who use to crib about her hair fall at almost every event we met. I was little hesitate to suggest her home remedies for hair fall as she was very fussy kind of person. But to stop her cribbing for once I suggested her the below remedies and fortunately it did work for her and she was very happy with the results. Hair loss treatments: Let’s now talk about how can you take care of your hair in the best way with the difficult conditions around. a. Hair Oil Massage: Massage your hair and scalp to increase blood circulation, condition the scalp and increasethe strength of hair from roots; Oil which can be usedis coconut oil, sesame oil, olive oil, almond oil, amla oil andnow a days very popularly used Bhringraj Oil aka eclipta alba. It is present in most of the ayurvedic hair oil and hair tonics. To buy bhingraj oil click here. 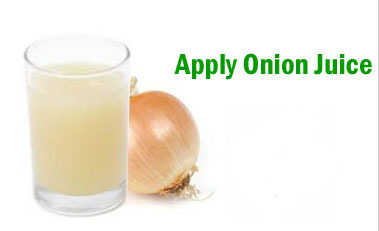 The antibacterial properties present in onion juice helps to kill germs and parasites, and thereby treat scalp infections which can be a major cause for hair loss. Onions are also high in sulphur content which improves blood circulation and regenerates hair follicles and reduces inflammation. Fenugreek seeds contain hormone antecedents that enhance hair growth and help rebuild hair follicles. They also contain proteins and nicotinic acid that stimulate hair growth. 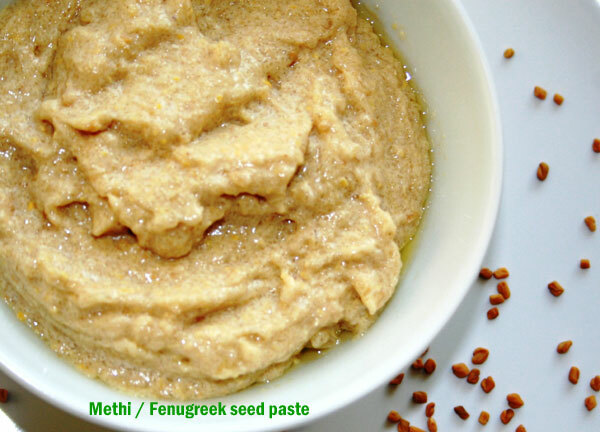 Method to use: Soak 1 cup methi seeds overnight and then make paste out of it. Apply on the scalp. Leave it for 40-45mins. Rinse well. Take vitamins. With westernization of the society we tend to keep our self away from the fresh fruits and vegetable and indulge more in processed foods. Due to this life style changes our body doesn’t receive adequate vitamins and minerals. Following are the few vitamins and minerals which if deficient can increase you hair loss. Omega-3: Foods rich in Omega-3 are fatty fish, egg yolks, fish eggs (caviar) and milk. Include Omega 3 in your daily diet. Vitamin E: Vitamin E helps increases circulation, and increased blood circulation in the scalp is important to keep your hair follicles productive thereby reduces the hair fall..
B vitamins: The B complex vitamins help your body to produce melanin, which gives hair its healthy color. Melanin also stimulates blood circulation. Increase your protein Intake: Protein plays a very important role to prevent hair loss. It gives strength to the hair. Eating lean meats, fish, soy, or other proteins may help to curb hair loss. Besides containing protein, many foods rich in protein also contain Vitamin B-12. Stress in the body aggravates your hair loss. So it is recommend to reduce your stress level by indulging in something you like or love. It might be just listening to music, a walk to the temple or garden, Chatting with your friends or relatives, Watching your favourite movie or episode or just lying on your bed. Exercising is one of the best way to reduce your body stress. If you have tried all sorts of natural treatment and still there are no results we have some news. We introduce you to some hair restoration techniques. It is a minimally invasive method. We have many clients who have got excellent results. We would like to share the link of clinic who gives best treatment. So let me know what exact problem you are facing and I will help you out in solving this problem of hair fall. I am Kumar.If I change the oil to my hair there is hair loss. What is the reason? I am loosing my hairs day by day and almost a shiny surface is apearing. I am not getting what is the reason while I have too much hairs on my body and increasing day by day. my bread is also full of hairs. I just want to know what I should do.?? DHT reduction also effects on your sexuality as per my studies. Either Reduction in DTH Harmone & 5AR enzyme would be the best option.?? what is the best way to regain my hairs or stop falling. Hopefully to see your recommendation soon. how much do i have to pay to get the information for the diet. i mean come on you was once bold so you know how it feels. Need a solution and info about vegetables, minerals and herbs to reduce the 5AR and DHT enzyme. If you can help with a list of the same and how to include them in the diet will be really helpful. Need a solution and info about vegetables and herbs to reduce the 5AR enzyme. If you can help with a list of the same and how to include them in the diet will be really helpful. Is there any supplement in market that stops the formation of DHT?